Puong Cave is a large cave in northern Vietnam, belonging to Ba Be National Park in Bac Kan province. The cave is only about 5 km from the center of Cho Ra town. Puong Cave is 300 meters long and about 30 meters high, formed from the flow of Nang River through Lung Nham Limestone Mountains with steep cliffs and various stalactites of unending shapes and colors inside the cave. 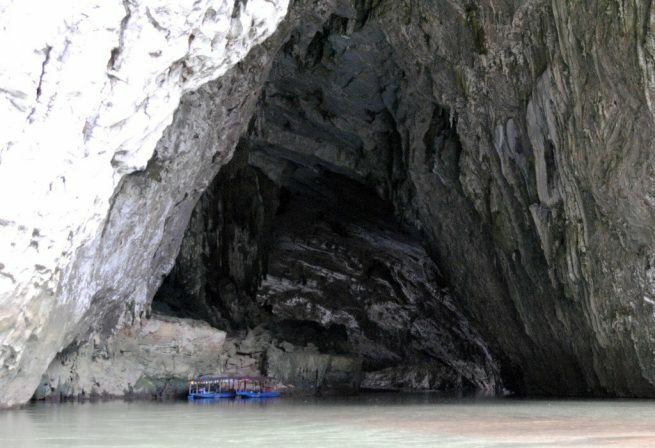 To visit Puong cave, visitors on Tours in Vietnam have to sit on a boat on Nang River, take a boat to go about 400 meters, visitors will see Puong Cave entrance. If you look at the cave from a distance, you only see it is very small. However, until you are closer, you really feel surprised by the grandeur and mystery of the cave that visitors will be excited to discover. Inside, the strangely shaped stalactites decumbent down and shine on the water. The deep inside, although the heart of the cave is quite dark but still enough to attract tourists. Inside the cave is home to thousands of bats, and when visitors visit here, the sound, footsteps, light flashlights, and echoes of chatting make bats fly fussily on the roof of the cave. It is unknown since when the gentle river penetrated the limestone cliffs to create a mysterious flow with the great cave. Many people also referred to Luong as the giant shark’s mouth swallowing every single boat that following the streams of the river. Although there are many visitors on Vietnam Small Group Tours to Ba Be Lake National Park, Puong cave still keeps its own pristine beauty as it was primitive and has many uncharted mysteries that are waiting for visitors on Vietnam package Tours to discover. Inside the cave, there are many stalactites and stalagmites have different shapes and colors that make visitors love to contemplate and touch. The geologists of Vietnam in collaboration with the Geological Society of Belgium have studied the geology of rock layers in the Puong cave and discovered a unique geological phenomenon in Puong cave is that the limestone site transformed into granite. Puong cave is a two-headed cave where the Nang River flows through, from the entrance of the cave, visitors can sail through the Puong cave to the other side of the cave. Sitting on a small boat floating on a glimpse of the peaceful Nang River with the sound of paddle paddling like a knocking rhythm, making the soul of travelers get lost into a peaceful countryside as in the fairytale with many emotions difficult to describe. On the boat discover the Puong cave, visitors do not miss the opportunity to admire the majestic Dang Dang waterfall with the length of over 1 thousand meters, the cascade made up three levels, the upper level with the lower level is nearly 4 meters, because the Nang River is blocked by hundreds of small stones in Hua Tang Village. Not only the mysterious Puong cave but also the Ba Be Lake National Park has a shimmering, pristine beauty surrounded by a legendary fog and associated with fascinating stories about this forest. Visit the homeland of Bac Kan, visit the National Park Ba Be Lake visitors stop on the boat to explore each corner of the Puong cave to admire a virtual cave, shimmering that Mother Nature present for people around here. 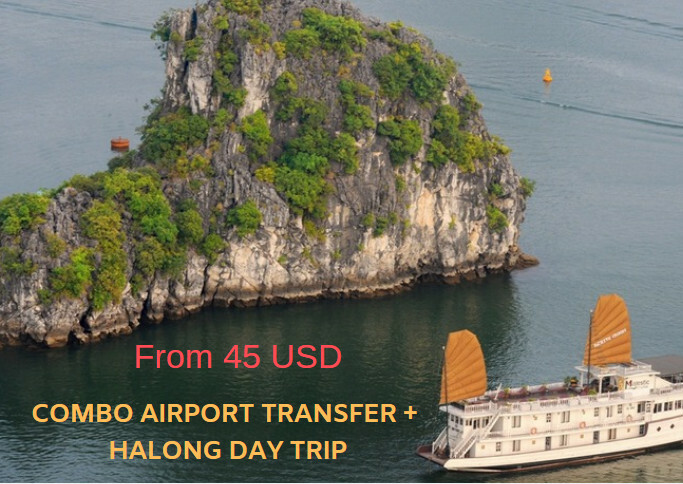 Additional, To enjoy the most beautiful sightseeings in Vietnam by your eyes, you can see some itineraries below Halong Bay Cruises – Hanoi Tour – Vietnam Tours – Sapa Tours – Package Tours or book a private car to discover where ever you want to enjoy the Vietnamese taste.